D.1-5) In the following questions, Single Conclusion is given and some statements are given. 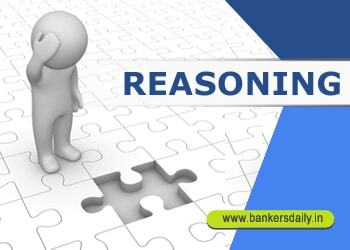 You have to take the given statements to be true even if they seem to be at variance with commonly known facts and then decide which of the given logically follows. 1) Conclusions: No work is hour; Some hours are jobs. Statements I: Some hours are work; No work is job; Some jobs are watches. Statements II: Some work is not hours; All hours are jobs; No work is a watch. Statements III: No hour is a job; No job is a work; All works are watches. Statements IV: No work is a watch; All hours are watches; Some jobs are hours. Statements V: All hour are jobs; All jobs are works; All works are watches. 2) Conclusions: Gates are definitely not bags; All bags are tips. Statements I: Some bags are tips; All tips are gates; No table is a bag. Statements II: All tips are tables; All tables are bags; No table is a gate. Statements III: All bags are tables; All tables are tips; No table is a gate. 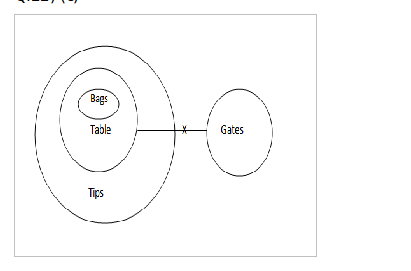 Statements IV: Some bags are gates; All gates are tips; Some tips are definitely not tables. Statements V: Some bags are definitely not gates; All bags are tables; Some gates are tips. 3) Conclusions: Some rooms are definitely not roads; Some rooms are locks. Statements I: No road is a building; Some buildings are rooms; All locks are rooms. Statements II: All roads are rooms; No room is a lock; All locks are buildings. Statements III: All locks are roads; No road is a room; All rooms are buildings. Statements IV: All rooms are roads; All roads are locks; All locks are buildings. Statements V: No road is a building; All rooms are roads; All locks are buildings. 4) Conclusions: All trucks are cars; No car is a van. Statements I: All trucks are vans; No van is a car; All cars are trains. Statements II: No train is a van; All cars are trains; All trucks are vans. Statements III: All trucks are trains; All trains are cars; No van is a car. Statements IV: No car is a train; All buses are trains; Some vans are cars. 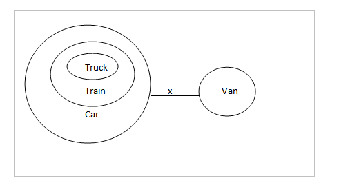 Statements V: All vans are trains; All trains are trucks; No truck is a car. 5) Conclusions: Some animals are definitely not dogs; No dog is a fox. Statements I: All foxes are horses; All horses are dogs; All dogs are animals. Statements II: No dog is a horse; Some horses are animals; All foxes are horses. Statements III: All animals are dogs; Some animals are foxes; No fox is a horse. Statements IV: No dog is an animal; All horses are fox; Some dogs are horses. Statements V: No dog is a horse; Some dogs are foxes; All foxes are animals. 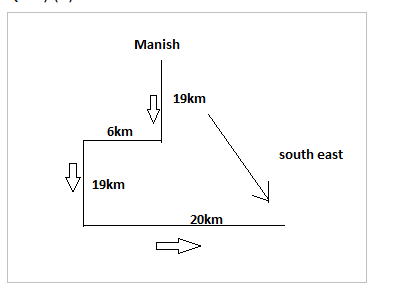 6) Manisha walks 19 km towards south and then turns to the right. 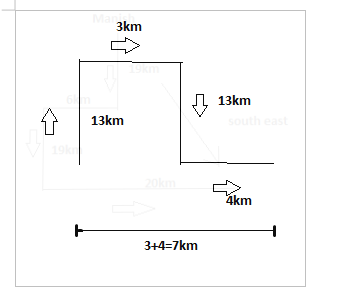 After walking 6 km he turns to the left and walks 19 km and again she turns her left and walks 20 km.Now in which direction is he from the starting place? 7) Sasi goes 13 km towards North from a fixed point. Then he goes 3 km after turning to his right. After this he goes 13 km turning to his right. In the end he goes 4 km after turning to his left. How far and in which direction is he now from the fixed point? 8) Malik goes to a market and sees Laran who he recognized to be his relative. The Laran was the daughter of his sister’s husband’s wife. How is the Laran related to the Malik? 9-10) Answer the questions that follow the information given in the undernoted paragraph. Z, the only daughter of B was celebrating her birthday party. A total of 6 members attended the party. All except G who was the close friend of Z, were her close relatives. ‘A’ was the daughter-in-law of F who was the wife of E. D was the son of A and brother of Z. 9) How is F related to B? To get the answers we should prepare the family tree as follows. The set of information can be better understood if you read it backwards. 10) How is G related to D? pls provide shortcuts of new pattern like Reverse Syllogisms..